S1-E16 & 17: Aaron Kennard – Every Experience if for Your Good! Season 1 Episode 16 & 17 : Aaron Kennard: EVERY Experience Is For Your Good [Podcast]. To LISTEN NOW, click the “PLAY” button on the green bar below. 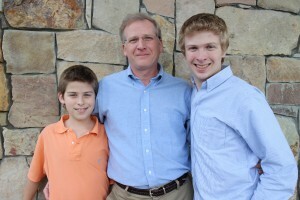 Our special guest, Bruce Van Horn survived stage 4 prostate cancer, the death of a daughter, the loss of his wife to severe mental illness, and 2 bankruptcies, yet he still chooses to see life’s challenges as gifts. His inspiring story and hard-earned wisdom may change the way you view challenges. Bruce describes himself as the following: “A dad, a writer, a coach, an entrepreneur, a speaker, a runner, and a lot of other things as life demands!” Bruce hosts a popular weekly podcast called, “Life is a Marathon.” Bruce’s book, Worry No More! 4 Steps to Stop Worrying and Start Living, is an International Bestseller! [vc_row][vc_column][vc_column_text]Sebastien Gendry is an international expert in laughter for wellness and wellbeing. He has over 11 years of full-time experience working with thousands of people on four continents. He has appeared on the Oprah Winfrey Show, 60 minutes, ABC Good Morning America, National Public Radio, and many more national media. He is the creator of the Laughter Wellness method, an interactive practice focused on developing a positive attitude and designed to improve physical, mental, emotional and especially social wellbeing and integration. Sebastien currently dedicates most of his time running The Laughter Consultants, a team of professional wellbeing experts, as well as The Laughter Online University, a leading provider of eLearning solutions on Laughter Therapy, with students in 33 countries. Sebastien played a major role in introducing Laughter Yoga in North America and other countries in the mid 2000s. He currently dedicates most of his time running The Laughter Consultants a team of professional wellbeing experts, as well as The Laughter Online University, a leading provider of eLearning solutions on Laughter Wellness, Laughter Yoga. After 3 years of a stress burnout, Sebastien began a journey to find ways to feel more happy in life. He studied many healing methods for body, mind, and spirit, such as energy work, yoga, and various naturopathic healing methods. At last he came to learn of community laughter clubs, around the world. The method began in India and is now practiced world-wide. *5 Ways to tap into joy (sing, dance, laugh, play and everything else). *Joy exists in the present moment and is a personal choice. *Different ways to enjoy the healing benefits of laughter. 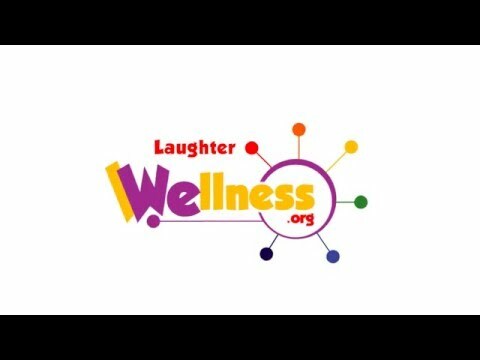 *The 10th annual laughter conference (attendees include health care professionals, business professionals, teachers and other service professionals, and many others who are committed to spreading wellness and wellbeing through laughter, joy and positivity. *The benefits of laughter on physical health, mental health, social health, emotional health and spiritual health. *Laughter utilizes both hemispheres of the brain and therefore boosts creativity and togetherness. *Laughter benefits emotional health as it releases the feel-good-hormones: Dopamine, Oxytocin, Serotonin, and Endorphins. *Laughter connects people socially as it gives them an opportunity to validate each other and reinforce social integration. *Spirituality is also improved because laughter boosts all of the qualities that help people to become a better version of who they are and who they want to become. *The brain, in a state of positivity, is 28 – 33% more productive than the brain in a neutral or negative state. *Laughter improves immune function as it helps move lymph throughout the body 10 – 15 times faster. *40 years of documented laughter research has shown that laughter is a powerful form of complimentary medicine. *Physical Benefits of laughter have been validated and documented and are reliable and sustainable (and free). We didn’t really know until recently how to use laughter as a sound and reliable therapeutic tool, but we do now and the results are unbelievable. There is an untapped force, contained within us, that has the power to totally change our lives. All we have to do in order to unlock this secret, is to simply start using it. The Laughter Wellness method shows you how to safely and reliably unlock the many healing benefits of laughter throughout people’s lifespan. It’s a unique, engaging, uplifting, stress-relieving, and fun whole-body well-being workout. To WATCH this VLOG NOW, please click the white triangle inside the “play box” on the image below! Thank You! Today’s QUICK WINS VLOG is about getting outside to exercise. Exercising outside daily is a great habit – one that can increase longevity and overall health and wellness. Several years ago Rick wanted to begin a more consistent daily exercise program. Knowing that it’s easy to over exercise and then burnout when you first begin a new fitness program. Rick decided to start small – really small! In fact he only did one pushup per day (3 sets of one pushup, to be precise). I hate to admit it but I laughed when he first told me of his plan because I knew he was capable of more than one pushup. He told me that he was following a method. It was his own method, which he calls THE ONE PUSHUP METHOD and that his primary focus, at that beginning point, was just to build a habit – one that was easily repeatable and one that he would miss if he didn’t do it. Every week he increased his pushups and increased his routine. Now he exercises for about an hour 5 or 6 times per week. His one pushup method played a key role helping him establish that consistent habit of exercise. As often as possible, he does that exercise outside. Most of us already know that getting outside to exercise has great health benefits, yet sometimes it can still be hard to find the motivation to establish that habit. Vitamin D (AKA the Sunshine Vitamin). We can get it from a dietary supplement, however the most beneficial form of Vitamin D is directly from sunlight. It only takes 10 – 20 minutes of mid-day sun to get what we need. Vitamin D helps our bodies in so many ways. It helps regulate the absorption of calcium, it helps reduce our chances of developing heart disease, it improves our immune system, it can help prevent many forms of cancer and has even been shown to help alleviate depression. For more information about the benefits of Vitamin D, click HERE. Cardiovascular health. Being physically active is important to prevent heart disease and stroke (the nation’s No. 1 and No. 5 killers). To improve overall cardiovascular health, the American Heart Association’s recommendations getting a minimum of 150 minutes per week of moderate exercise or 75 minutes per week of vigorous exercise (or a combination of both). Other organizations recommend one hour per day. If that sounds like too much, remember Rick’s one pushup method and start small, if you need to. Even just 10 minutes of outdoor exercise can be a great place to start. Walking.One of the easiest exercises to do outside in nature is walking (And it sure beats walking on a treadmill). Besides all of the outdoor beauty that you get to enjoy when you’re walking, this easy exercise also builds up your calf muscle (sometimes called the Venus Heart). Did you know that your calf muscle is the second half of your cardio system? It’s important that we get it pumping everyday through walking. You can learn more about the benefits of walking on our Positivity Life Podcast, episode 10 with cardio/vascular expert, Steve Talbot. Fresh air is another one of the great perks of exercising outside. Indoor air can be full of dust and mold and other impurities. Freshly oxygenated outdoor air helps to clean our lungs and helps us get rid of toxins. Fresh air produces a healthy mind, clean lungs, and can give us a feeling of calm. There is just no substitute for fresh air. Socialize while you exercise! Have you noticed that exercise is always easier and more fun when you have a friend along? Conversation, laughter and socializing with an exercise buddy has a ton of health benefits and can greatly improve physical, mental and emotional wellbeing. Besides that, exercising with a friend increases our motivation to do it again. Endorphins! Exercise stimulates the release of endorphins – those feel good hormones that stay with us and increase our well being throughout the day. Replenish. Exercise helps us detach from daily stressors and gives us a chance to replenish our reserves. Life can be busy for all of us and we need to take time to renew. Exercise gives us a chance to “refill our cup” so that there’s more of us to give to others, especially when busy careers and our family life call for our very best. So start today and build a new habit of getting energized through daily exercise (outdoors, whenever possible). For a good laugh on us, check out our Positivity Life BLOOPERS REEL (the one made from our crazy attempts to put this vlog together). Like exercise, laughter is also good for you, so we hope our bloopers bring you a few grins and maybe even some hearty, health promoting, big belly laughs! 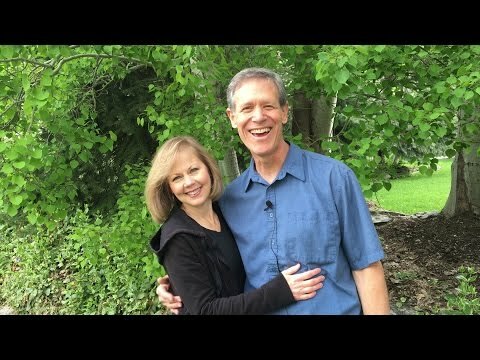 THIS QUICK WINS VLOG from Positivity Life is not meant to replace medical advice. Always consult your physician before starting any new treatment or exercise program.